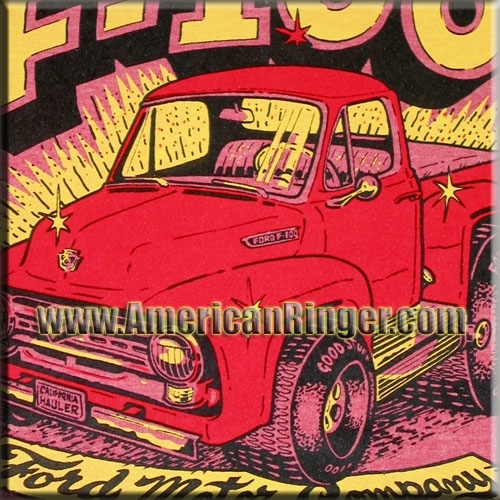 This vintage print shirt says it all, "Ford Motor Company." 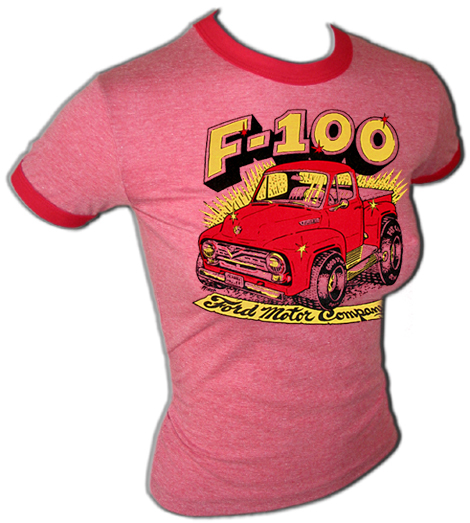 Original 1955 F-100 Ford truck iron-on print complete on a sweet 70's style heather gym tee! A truly rare find that American Ringer has acquired and NOBODY ELSE has! This is the real deal vintage stuff and once they are gone they will be gone forever.